Update: this hearing has been rescheduled for May 16, 2013; 9:15 a.m. 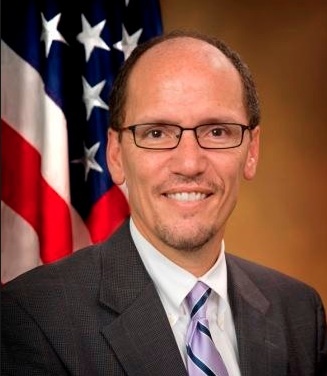 Tomorrow, May 8, 2013, a mark-up hearing will take place on the confirmation of Tom Perez to be the next Secretary of Labor. NCIL has been very supportive of Mr. Perez’s nomination, and would like to see another significant turnout from the disability community at this hearing. We are encouraging any advocate who can attend to be there in person. If you cannot be there, we strongly encourage you to contact Senators on the HELP Committee and let them know that you support his confirmation. Tom Perez is a champion of civil rights and a dear friend of the disability community. His confirmation stands for progress, and we cannot leave this vote to chance. If you have any questions, please contact NCIL Policy Analyst Austin Walker at austin@ncil.org.